It's November the sixteenth already. Which means that Christmas isn't very far. To tell the truth I don't like decorating my home too early, and by early I mean earlier than a month before Christmas. I detest festive shop windows in late October. I remember that when I was little my parents used to decorate our Christmas tree only a few days before Christmas. Then little by little the habits changed. 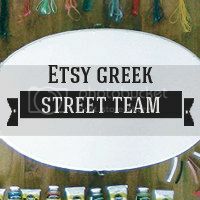 Of course as someone who wants to make his own decoration I need to get organized early so I won't let unfinished projects because of lack of time, which I do most of times. This year I will try to accomplish what I want on time. Therefore I officially call the beginning of festive period here on A few pretty things. Now, before I continue, I want to say that this blog does not live on a pink cloud. It is perfectly aware of the situation around - for those who don't know, I live in Greece. People here are having a hard time, my family does, friends and relatives do. People are suffering unable to see clearly what's ahead and not sure at all whether their sacrifices will lead somewhere better or just will be thrown in the trash can. They fear that the latter is more likely. I am not a silly person caring only about crafting and decoration when everything around is falling apart, I just want to stay creative, keep going. This blog, for the last months I am working on it again, has kept me busy and therefore sane, instead of wondering all day long "what will we do, what will happen, have we yet seen the worse?". If you stop, you drown. Thankfully my family still has a house, an income and health. I really wouldn't know what to say to people who recently lost their jobs, their homes, the lifes they had. "Keep busy, be creative"? I can't give advice for situations I haven't been in. At least those of us who still have a normal life, far more difficult and so different than before, let's not sink in resignation, whether it 's Christmas decoration or climbing a mountain or collecting stamps, let's do what will keep us on the surface. I hope I didn't depress you too much. Let's go on with the tutorial, it's something easy for a start. 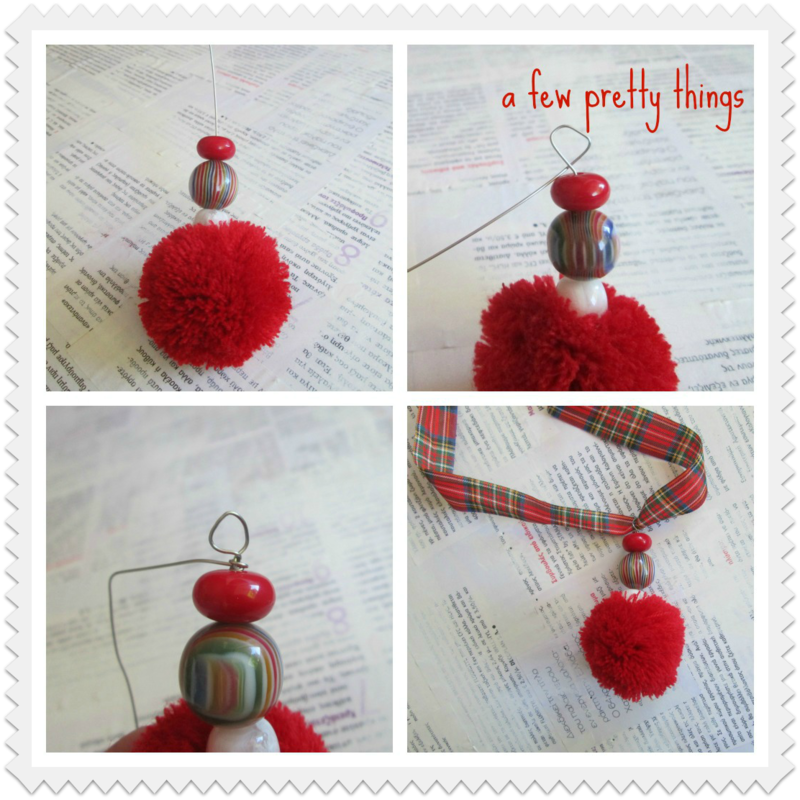 There are a few easy steps to make cute pom pom ornaments. 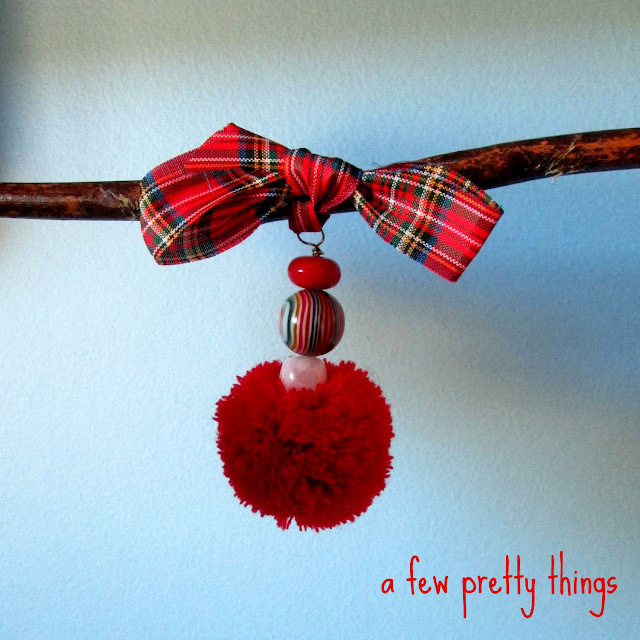 A pom pom, a few chunky beads, 15cm of wire, it should be hard enough to go through the pom pom’s center, some ribbon. With round pliers turn the wire to make a small coil at one end. Turn the coil so that it is vertical to the rest of the wire. 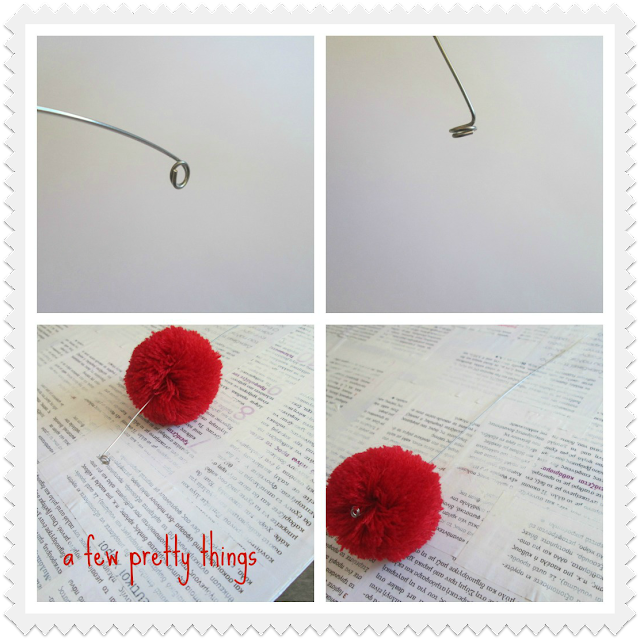 Force the wire to go through the core of the pom pom. Use the pliers to make a small hoop, turn the wire around the base and cut off the rest. Pass the ribbon through the hoop and you are ready to hang your ornament. Teleio!!! 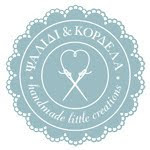 Thanks for sharing:-) I love ponpons and think I'll make some for Xmast! 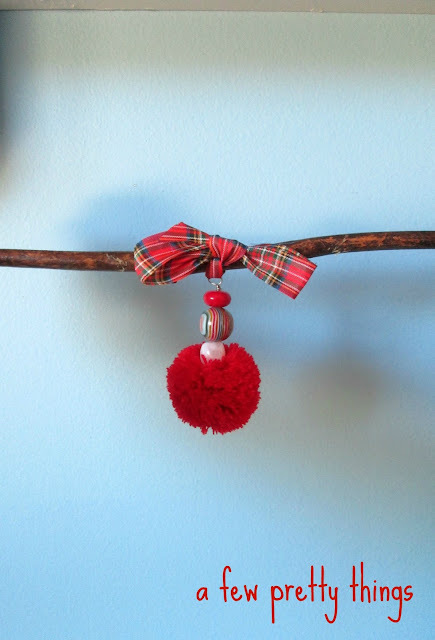 I recently made a batch of red pom poms and was wondering what to do with them. Lovely tutorial thank you and a very good Christmas message to go with it. Best wishes from England. This is a cute idea to do with kids where the supplies don't cost a fortune. Very pretty too.